Apply now for your free Income Protection Insurance assessment and price comparisons! Income Insurance: Insures your income in the event of you being unable to work due to sickness or accident. Income Protection NZ is New Zealand`s premier online Income Protection Insurance comparison resource ... providing you with access to the best Income Protection Insurance quote comparisons, choices and advice. If you are looking for the best income protection insurance quotes NZ has to offer, you are in the right place! At Income Protection NZ we know that you have better things to do with your time other than running around chasing down the best income protection insurance quotes. So we do it for you - no charge, no obligation. Before you leave us, why not take in the up-to-date Income Insurance news headlines ... or browse the Income Protection articles in our comprehensive library. 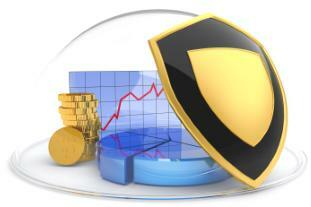 We also offer a range of Income Protection calculators for your free use. Learn more about our current promotional offer including cash competition draws and further free stuff. Recommending visitors to Income Protection NZ can earn money for you, so pay a visit to our referral platform to learn how. Life Insurance Brokers and Advisers might want to discover more details on our customer referral system.